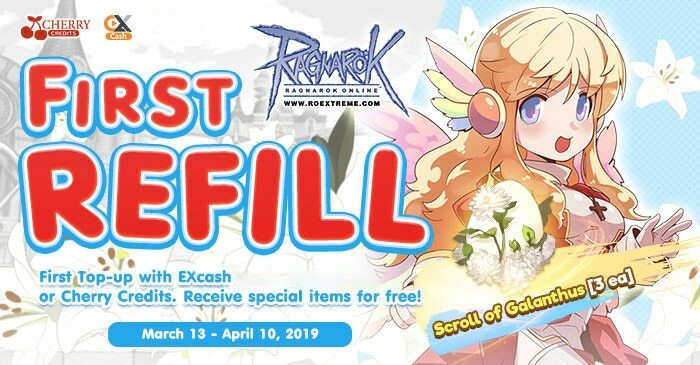 Rewards: Receive Scroll of Galanthus (3 ea) for your first 10,000 Ragnarok Online top-up (via EX Cash or Cherry Credits). 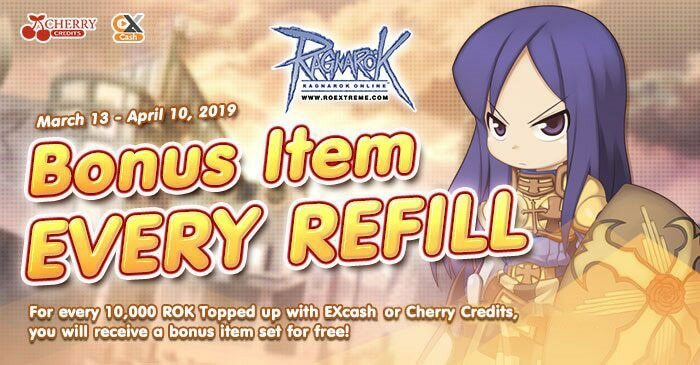 Rewards: Receive Scroll of Blue Hair of Strong (3 ea), White Potion Box (5 ea) and Siege Blue Supply Box (3 ea) for every 10,000 Ragnarok Online top-up (via EX Cash or Cherry Credits). Top-up Ragnarok Online and get your rewards now !!! – Ragnarok Online Official Site.